2018 is a special year for giving thanks. After being heavily impacted by Matthew in 2016 and Irma in 2017, it appeared that Hilton Head Island would again feel the wrath of a storm when Florence threatened to be a direct or near direct hit. Fortunately, for Hilton Head, the storm shifted north enough that the island was spared with nothing more than a little wind and rain, although the governor had issued a mandatory evacuation and rescinded it less than 24 hours later – just a few days before the storm. While our thoughts are with those to the north of us who were hit so severely with high winds and flooding rains and who are still recovering weeks later, we have so much for which to be thankful. We are so fortunate to be able to continue to welcome our owners and guests, who are all part of our Spinnaker Family, back to the island to enjoy their vacations. From all of us at Spinnaker Resorts, Happy Thanksgiving! Enjoy this time of the year with your family, friends, and other loved ones. We look forward to your next visit to your home away from home here at Hilton Head! From your Southwind Management team and Spinnaker Resorts in Florida, we would like to wish you a warm and special Thanksgiving. We’d like to express to you our sincere appreciation for your confidence, friendship and loyalty through the years. We are so pleased to see the same wonderful personalities and faces each year, sharing memorable stories and opening their hearts to us. It goes without saying that the impact of Hurricanes over the past few years has been felt by Spinnaker Resorts and all our loyal owners and guests. This year we have been spared any disruption in Ormond Beach, for this we are most thankful! Seeing the aftermath in the Florida Panhandle and South Eastern States after Storms Florence and Michael, we were all so blessed that we did not experience any Hurricanes this season. We all sincerely wish all those that suffered major damage and loss a speedy recovery and a life back to normal as soon as possible. This year we have seen the first successful phase of a major unit renovation plan to the Royal Floridian completed, with the second phase beginning late November. The project has started smoothly and the newly renovated rooms have made a major improvement to your “home away from home”. Renovations will continue through the next few years along with additional improvements to both properties. We thank you for your continued support and positive feedback to all the efforts put forward to make your Resort the most popular and respected in the area! Thanksgiving is a time to gather around those we love and care for. It is a time to be grateful for all that we have been so abundantly and selfless blessed with. It is also a time to sit-up and take note of those not so fortunate. It is a season of bountiful and provides for reason to share from the same bounty. 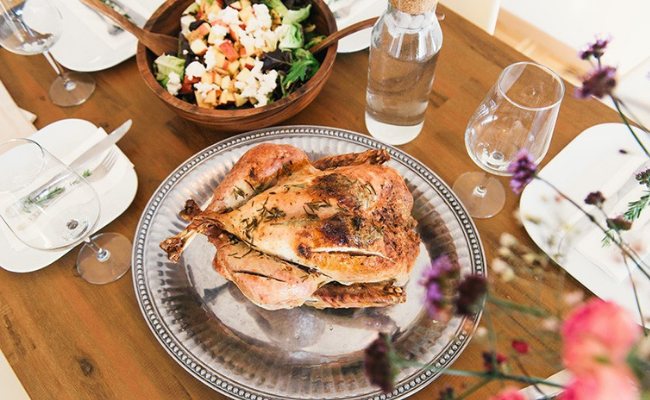 True Thanksgiving is not a holiday or season but much more importantly, it is in actually doing that…. Giving! Give often and give much… you will be the greater recipient into doing so. At Spinnaker Resorts we wish all of you safe travels and abundant love and caring for all who surround you. From all of us in the Ozarks of Missouri, Happy Thanksgiving Ya’ll!